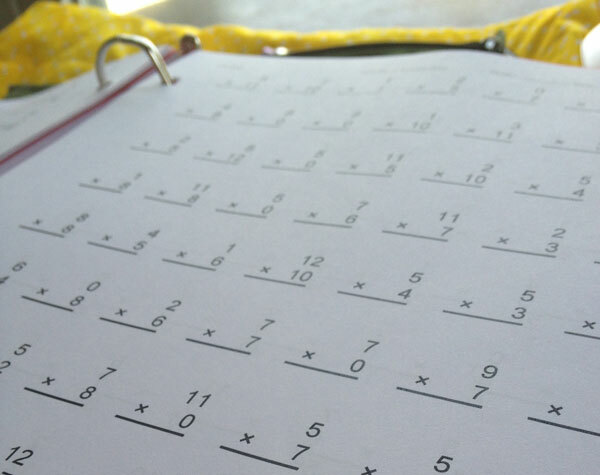 When I was in 3rd grade, my classmates laughed at me because I accidentally said my times tables in Chinese. Ching-chong, people. When I was teaching, I often found myself struggling with the question of parity for my students. If I do something for one student, would it only be fair if I did it for all my students? It left me in the position of providing fewer “extras” and reserving rewards for situations with equal opportunities, because I was often concerned with being fair. But, some students just need a little extra, and some students will make the most out of these added opportunities. I can never resist a child who asks for more help in a specific, constructive way. I’ve been fortunate enough to return to the classroom at the end of this year, working with students with individual needs in math. One of my students in particular is amazing with visualizing geometry, good at solving procedural problems, and really really really terrible with her basic math facts. So when she looks at me, stops saying “this is hard” and “I’m bad at math” and instead says, “you know, this is the only thing holding me back from doing much better in math class,” I am unable to ignore that plea. She is self-aware enough to know that regular flash cards have not helped her to learn her times tables, and she doesn’t memorize things visually in that way. Since she is good at recognizing relationships, we are hoping that the three-corner cards and the math-wheel cards will be different ways to look at the times tables and develop a better sense of numbers that go together. In addition to the flash cards, I made a book of 150 Mad Minute practice sheets and a tracker for her to track her progress with the times tables. These will go into the binder she picked out, and she will use the timer to administer her own mad minutes. Of course, once I get going with these things, I can’t stop myself. 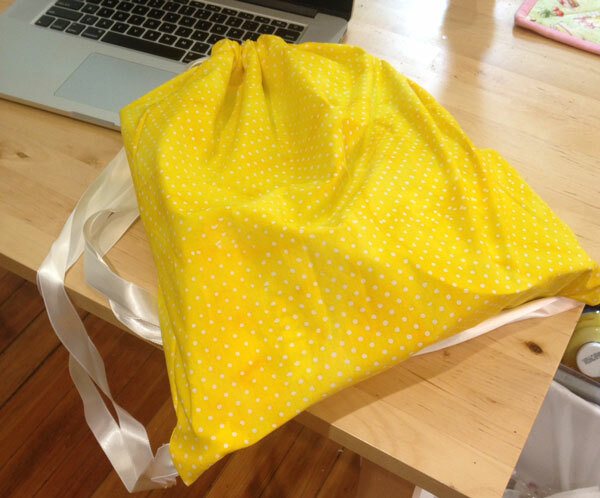 I had to make a cute little backpack to store her math practice toolkit. It only took about 15 minutes and I had all the materials handy in the house. (It’s taken me far longer to format this post than to make the backpack.) I also found a few stamps and a few stamp pads that I threw into the pencil case. OK, I think the pack is pretty cute. Then again, I’m not a 7th grader, so who knows. I have high hopes that she becomes a math facts wizard by the end of the summer, and can come back in the fall and be a mentor to 5th graders in the school who may be struggling with their own math facts. I’m not really doing this for her appreciation, but it’s so little in the scheme of my day, and can be so big in the scheme of her life. I couldn’t NOT do this when it asks so little of me. I know this kind of attention isn’t scalable, but not every student needs this. Other students will need other things, and hopefully I’ll be able to answer them when the opportunities arise. 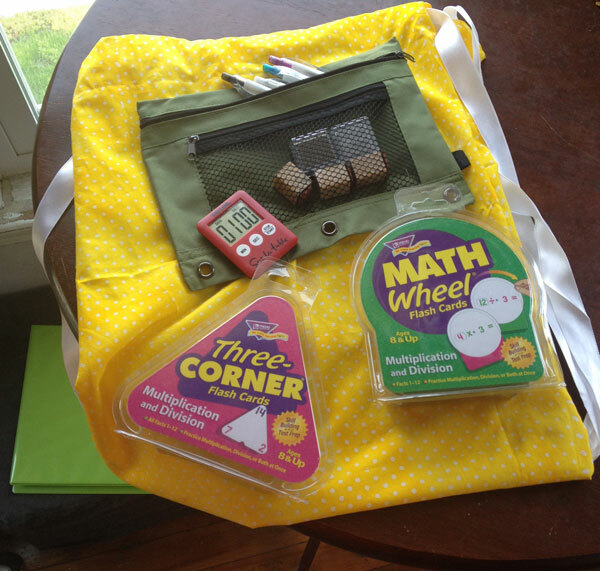 This entry was posted in Blog and tagged DIY, math, sewing, students, teaching. Bookmark the permalink. Thanks Bon, I’m not sure that all the alums are saying “great” things about me, har har. But I just do what I can when I can. Mostly I get the look of “wow you’re a dork.” I am, what can I say? !